"All I Ever Wanted to Be..."
Kenny's book about his lifelong struggles with debilitating health issues, including polio and multiple sclerosis. You've probably seen him around Roanoke, taking the hills on his hand-crank trike. The man can't be stopped! 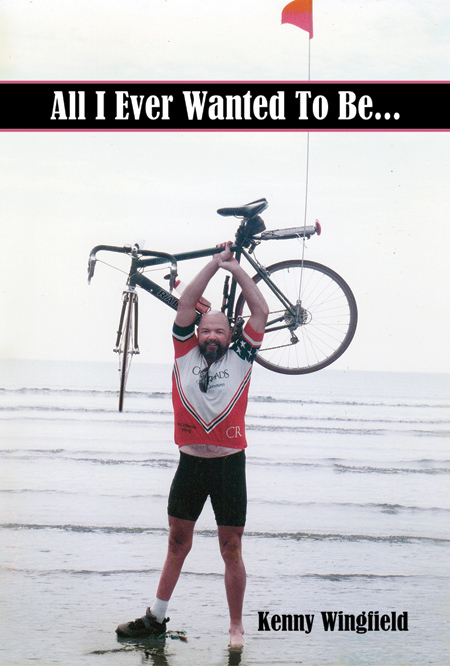 He has biked the US and beyond raising money for MS research. Read all about it, and help support Kenny's cause...buy a book! Facebook message Kenny or stop by Cardinal Bicycle to get your copy. The price is $14.95 + $3.50 shipping, but any amount donated above $12.50 will be going to the Multiple Sclerosis Alliance of Virginia to help continue their service of educating, empowering and enhancing the lives of folks living with M.S. and providing support and encouragement to the partners and care providers of folks living with this disease. You can also buy a copy online through PayPal, using your PayPal account or credit card!